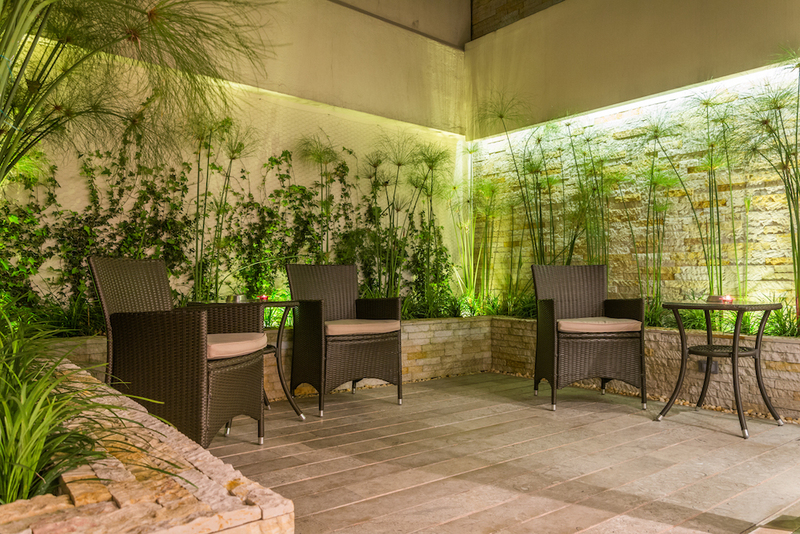 NICO ApartaSuites is located in Rosales, one of the most exclusive and traditional neighborhoods in the north of Bogotá. 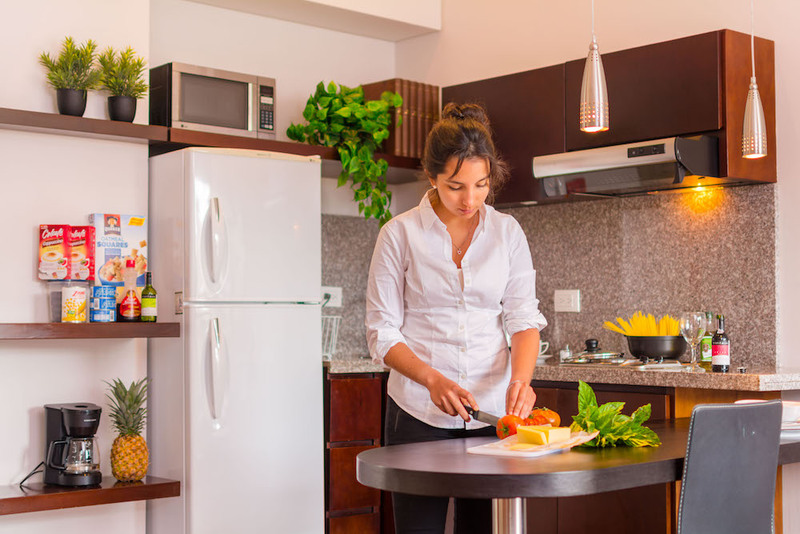 NICO ApartaSuites is just a few steps away from the financial district and shopping centers suchs as Andino Mall, El Retiro Shopping Center and Atlantis. 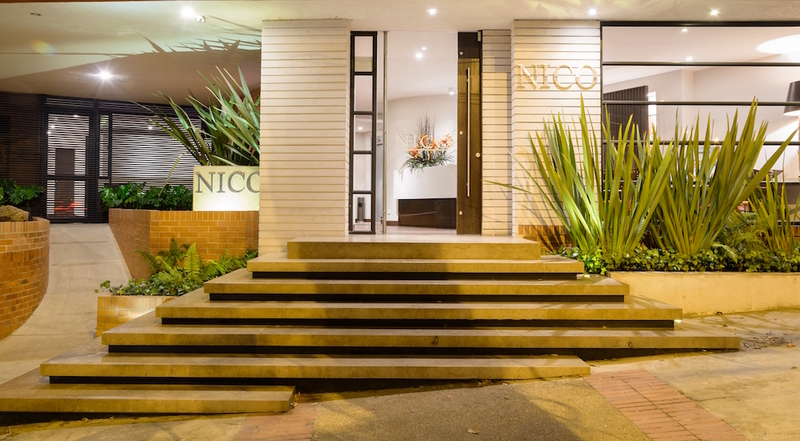 NICO ApartaSuites is right in the middle of the Zona G, the gourmet area of Bogotá with international restaurants. 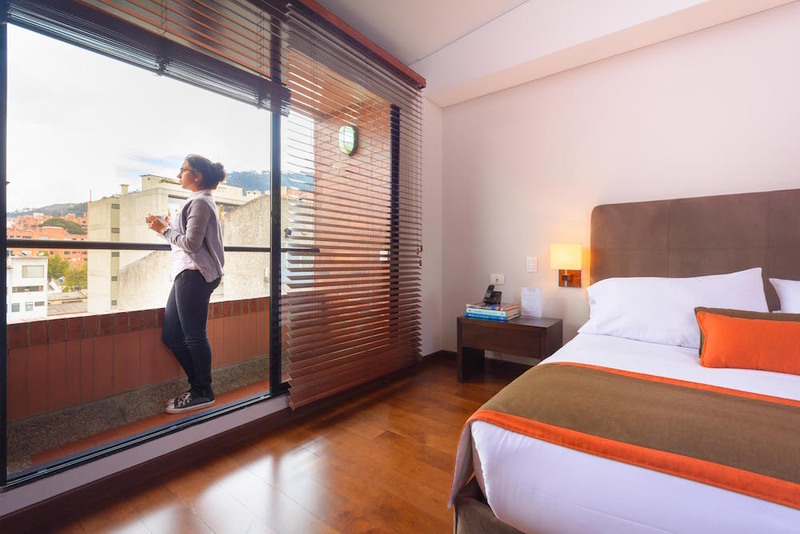 With 25 guest rooms and apartments with a loft style and modern decoration, these furnished apartments are the ideal place for your stay in Bogotá. The Double Room of Nico ApartaSuites (20m²) offers a Queen, King or twin beds, private bathroom with shower and amenities, minibar, desk area, TV, Free Wifi and safe. 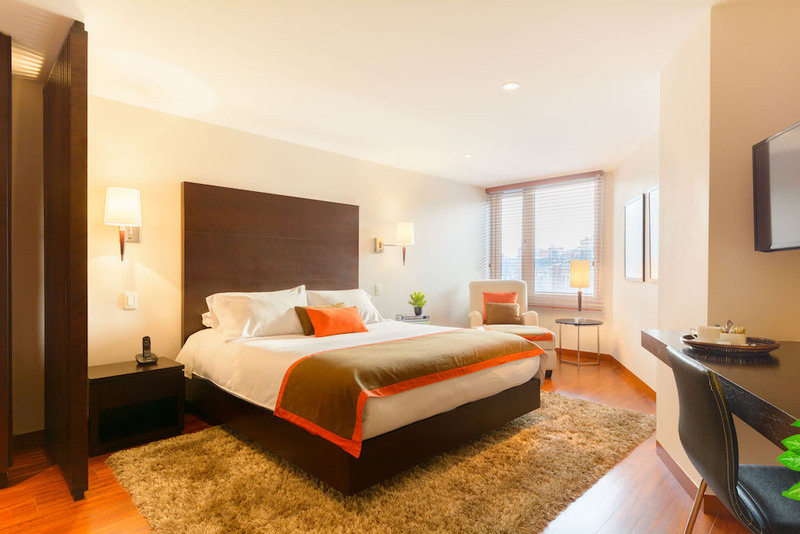 Enjoy these rooms located in the Financial District of Bogota. The Grand Suite is a 1 bedroom apartment, comes with a Queen or King size bed (option to have 2 single beds), living area with desk, fully equipped kitchen and private bathroom with shower and amenities. 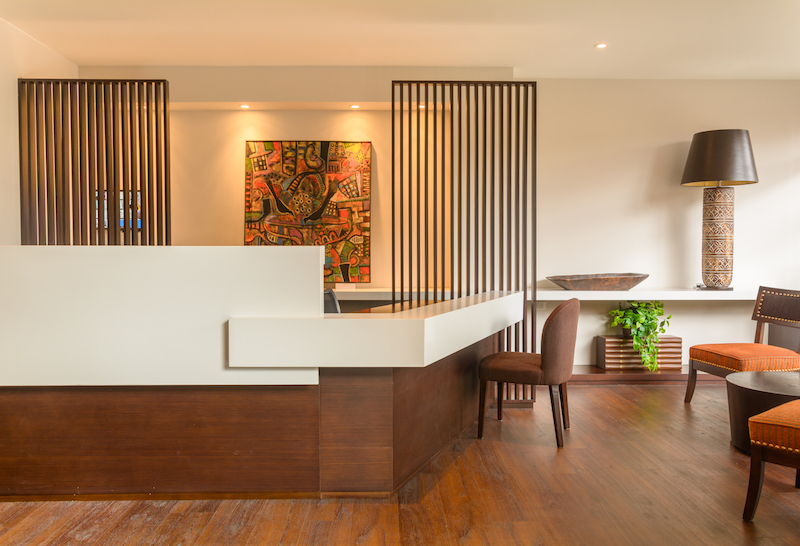 Free Wifi, safe and Cable TV are available for our guests. If you need a hairdryer, dont hesitate to request at our reception. 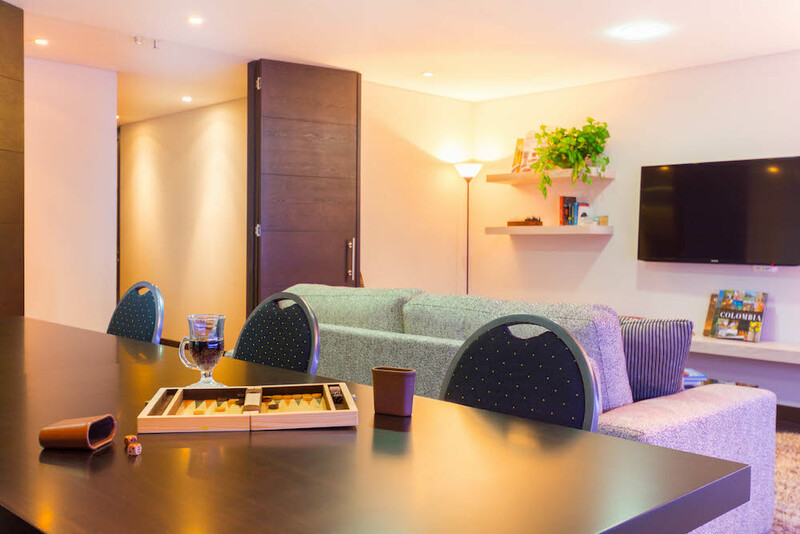 The Family Suite, our 2 bedroom apartment, if the perfect option if you are travelling with kids or with friends. It has 2 bedrooms (with King or Twin beds), living area with desk, fully equipped kitchen and private bathroom with shower and amenities. Free Wifi, safe and Cable TV are available for our guests. 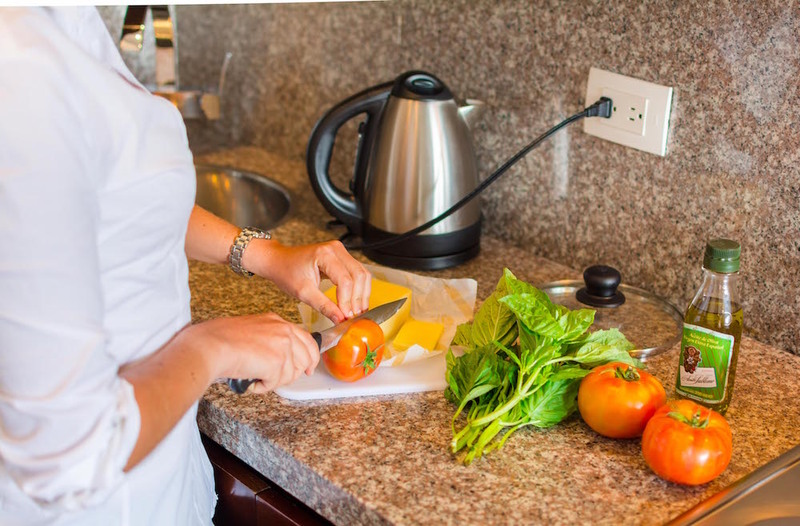 Grand & Family Suite have a fully equipped kitchen. Breakfast buffet included in the rate. The staff at Nico Suites was very nice and accommodating. By Day 2, they knew the names of everyone in our party. 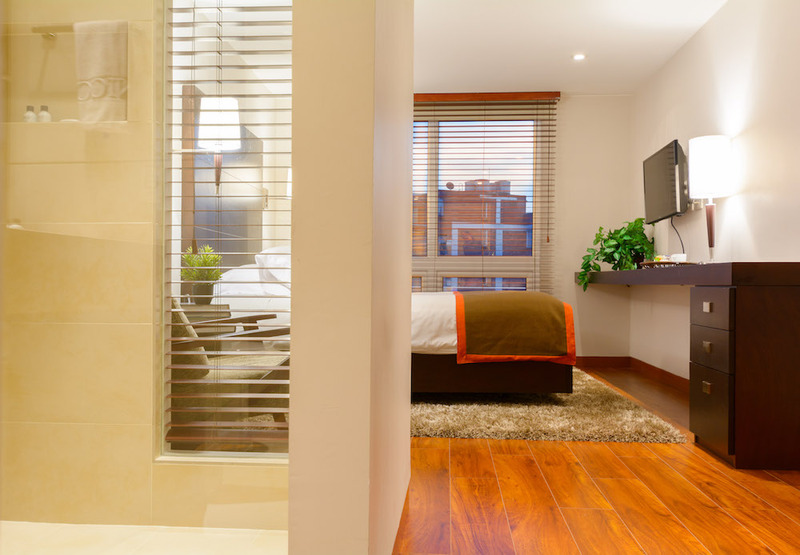 The rooms were clean and comfortable, and the location in the Hip Zona G neighborhood can not be beat! Great breakfast ; good rooms and bathroom. Niice neighbourhood. Isolation of the Windows could be better. Disfruté mucho mi estadía en su hotel. La habitación era cómoda y confortable. Los desayunos estaban incluidos en la tarifa y eran de muy buena calidad. Lo más importante, recibí un trato muy amable de todo el personal que me atendió. Considero que el precio de la habitación es muy competitivo, considerando el servicio que brindan. Muchas gracias. Loved this place! 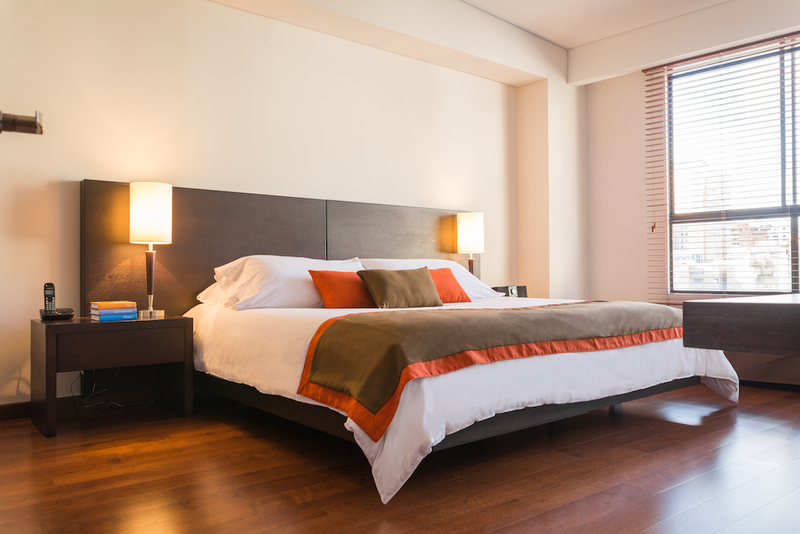 The room was very clean, the staff was very friendly, and we had a great stay. Muy buena experiencia! Todo el equipo del hotel da lo mejor de si mismos para que te sientas como en casa...y realmente, lo consiguen!! Muchas felicitaciones! Genial La atención del personal a la altura! El desayuno es genial! Definitivamente voy a aconsejar amigos. En general muy bien, arreglaría el termostato en la ducha, porque se sube y baja la temperatura y cambiaría las toallas. El personal muy amable y servicial. Los cuartos muy cómodos! Maravilloso. Excelente servicio, instalaciones, comodidad y desayuno. Localización ideal para unos días en Bogotá, en su zona de interés cultural. Nothing to say...very comfortable, very kind welcome, excellent breakfast, good location. Fenomenal estadía como siempre que visito el establecimiento. Perfecta ubicación y estupenda atención de todos los colaboradores. 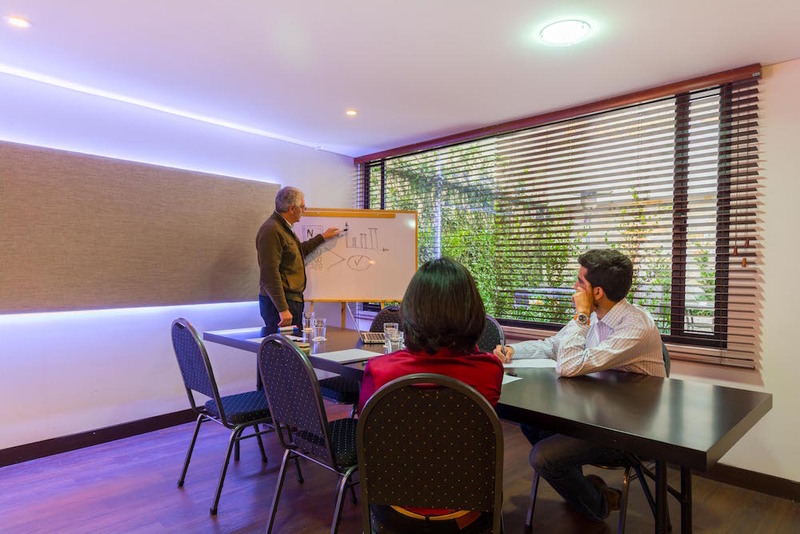 Excelente servicio, excelentes instalaciones y relación calidad - precio. El hotel muy limpio. Buena atención, buen desayuno, la habitación amplia. El problema y grave es que no hubo agua en la noche y en la mañana. Fue un daño que no es culpa del hotel, pero deben tener una mejor reserva de agua para estos casos. Wir hatten das Zimmer 701 mit toller Aussicht über die Stadt, Super Badezimmer mit heißer Dusche und sehr sauber. das Bett war bequem und es gab 3 Kissen für jeden. Zum Frühstück gab es Spiegeleier, Schinken, Käse Marmelade sowie Obst und Müsli. Auch das Personal ist sehr freundlich und wir konnten am Tag der Abreise unsere Rucksäcke bis zum Abend im Hotel unterstellen. Represento una agencia de adopciones y tengo una familia cercana a venir. Me guata su hotel. Necesitaríamos un apartame to de dos habitaciones. Me hace una excelente propuesta? L’établissement est très bien situé, dans un quartier agréable et à proximité de toutes les commoditées et les restaurants. Notre chambre était confortable avec un bon lit. Les petits déjeuners sont bons. Le personnel est aimable et avenant et a su répondre à nos demandes. On le recommande. Foi tudo muito bom na nossa estadia. Todos os funcionários foram atenciosos, a limpeza do quarto era ótima, a cama era boa e as instalações do quarto também. Só o café da manhã que poderia ter mais variedades. É a melhor relação custo / benef´´icio da zona G. Os funcionários são extremamente atenciosos e a localização é ótima. Éa terceira vez que fico neste hotel mas desta vez tive alguns problemas : - O quarto que fiquei, mesmo com janela anti-ruido pegava barulho da rua - A privvada do baheiro não enchia direito e tive que tirar a tampa para ajrrumar. Uma hora não consegui e tive que chamar a manutenção. - O chuveiro estava fraco e não esquentava nem esfriava rápido. mesmo assim, recomendo o hotel! buena atención y tranquilo, el desayuno un poco limitado y la habitación muy fría. Der Aufenthalt in Nico Apartasuites war sehr schön , die Lage prima, das Frühstück gut , obgleich etwas mehr darauf geachtet werden kann, ob was fehlt. Das Apartment sehr hübsch , modern und sauber! Die Restaurants und Einkaufsmöglichkeiten in der direkten Nähe super. Im Apartment fehlt ein Fön und vllt auch ein Bügeleisen. Bei schlechtem Wetter ist es leider auch sehr kalt. Ansonsten aber eine sehr gute Möglichkeit in Bogota Zeit zu verbringen. Nice location on the east side of town safe to walk about .Near a great number of resturants within easy walking distance of hotel. 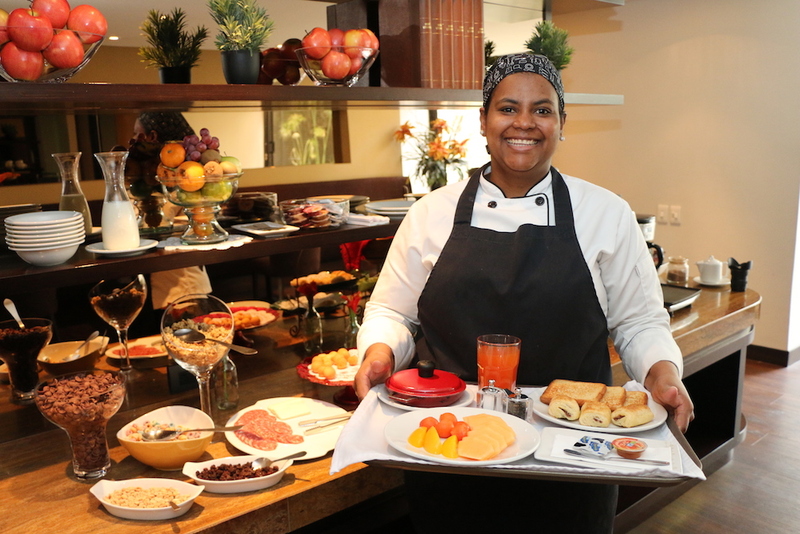 The hotel is attractive , clean , newer , breakfast is continental , great juice and fruit. Great value . Very Nice room. Excellent bed. Good breakfast. Reception coule be warmer. We loved Nico Apartasuites, we had plenty of space for our family, 2 adults in a very confortble bed, our 3 years girl slept in a huge sofa bed and they provided a excelent crib for our 4 months baby. We had even a baby basin for shower him also, and it was not requested, thanks! The breakfast was delicious also. 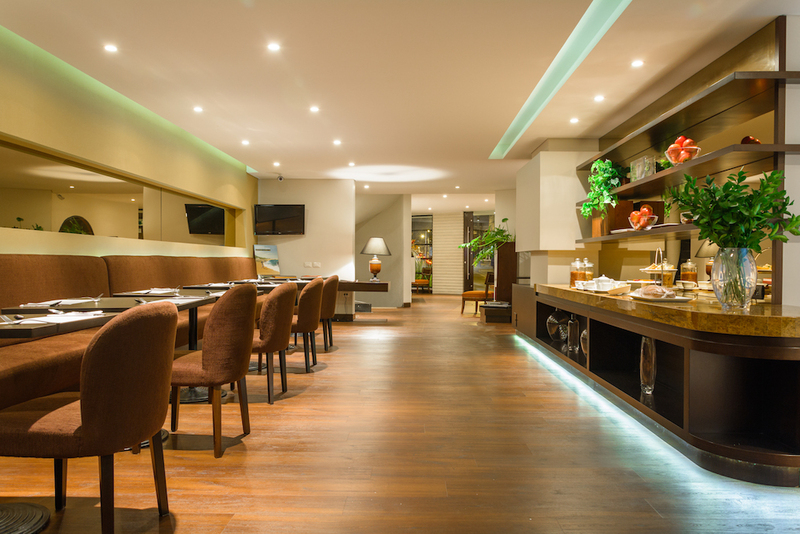 We had the impression of choosing the right area for staying in Bogota, it was easy to go everywhere and for dinner, we had more than 20 options of restaurants on short walking distance. We loved that! Go to Vitto, right in the corner, and ask for their burrata! Great! I’m not giving 10 to the hotel because the shower was impossible to keep constant water temperature. I’m shire the hotel can solve this problem for next visitors. The additional breakfast was very expensive. 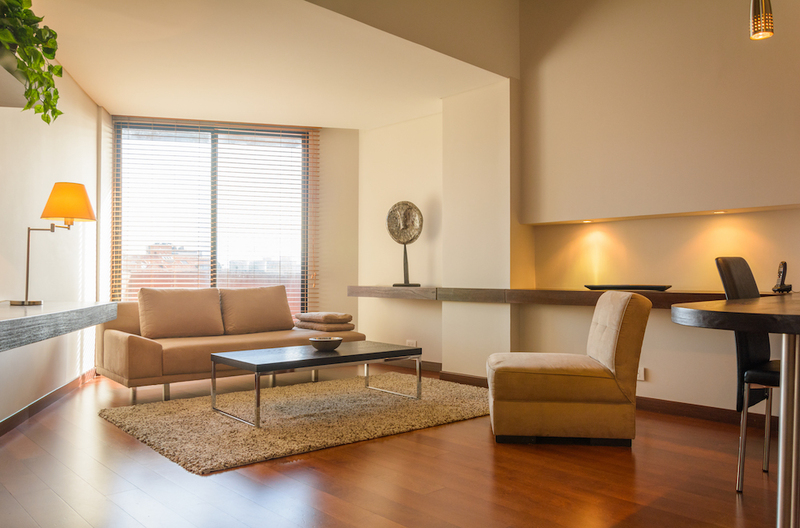 excelentes habitaciones, cómodas, espaciosas y limpias. Atención inigualable. The stay was nice, friendly staff and nice rooms. It was to loud for opening the Windows at night, since there was no aircondition or Fan on room. Made me not sleep well at night. Excellent service. I would like to thank and congratulate the reception of Farid and Johana. buenas tardes, por la presente me comunico a ustedes con el fin de saber por que medio me puedo dirigir para presentar una propuesta ambiental de recolección de residuos inorgánicos, Beneficiando el hotel y el medio ambiente por medio de su debido proceso de recolección, capacitación y certificación. Quedamos atentos a una respuesta, gracias. We were pleased in every way with our accommodations. The room was clean and modern. The staff did all they could to assist us with our stay and the breakfast was just we needed for a healthy start to the day. An excellent hotel for tourists as well for business I guess. A safe en quite environment and yet close to dining facilities. Very good service, friendly staff, excellent rooms! . Hopefully we come back! Siempre que voy a algún lugar y me tengo que quedar en esa zona, me quedo siempre en este hotel es tranquilo, silencioso y cálido. Habitación e instalaciones, confortables. Personal amable y eficiente. Lo pasamos muy bien. Gracias a Johanna, Farid, Juan, Diana, Gloria.....Felicitaciones. Excellent staff , very helpful . Rooms very clean and comfortable bed . Location was great ! Many restaurants and in the middle of the city .Acess to different parts of the city . 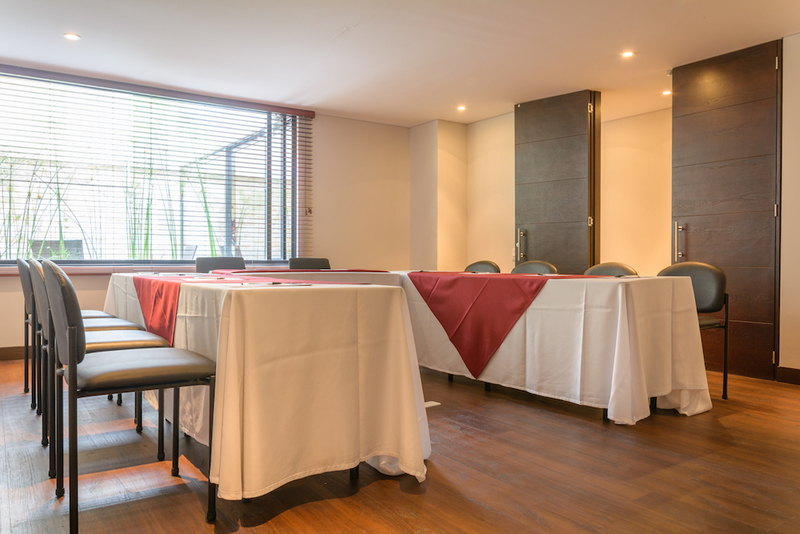 Very nice hotel in Chapinero barrio, near the Gourmet zone (zona G) with a lot of restaurants. The Old center, la Candelaria, can easily be reached by taxi. Maria and Mauricio were very hospitable to us, especially as we do not speak Spanish. They were a huge help to us and very generous, even gifting us with an upgrade! The suite was very comfortable, spacious and stylish. Breakfast each morning contained a variety of different delicious foods, always something great to choose from. The location is wonderful, a short taxi ride from La Candelaria and not far from La Zona Rosa. A very central spot with lots of good restaurants within walking distance! 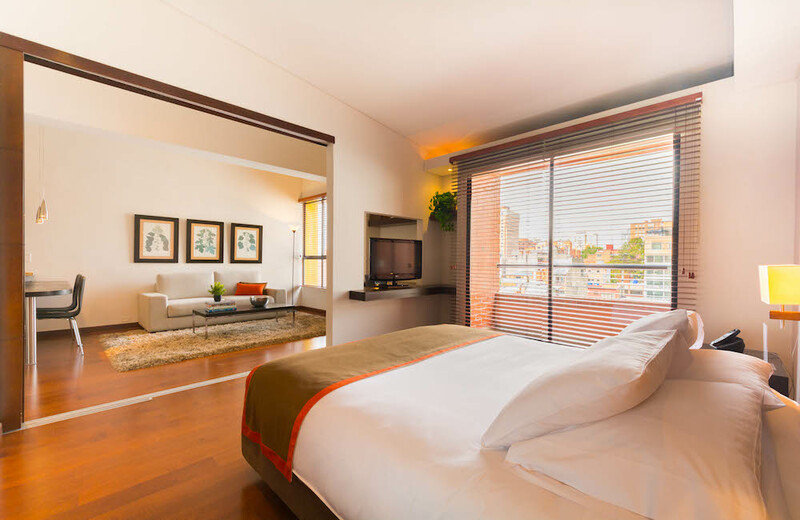 I will definitely be staying there again when I visit the lively and wonderful city of Bogota! My favorite hotel boutique in Bogotá. You feel like at home. 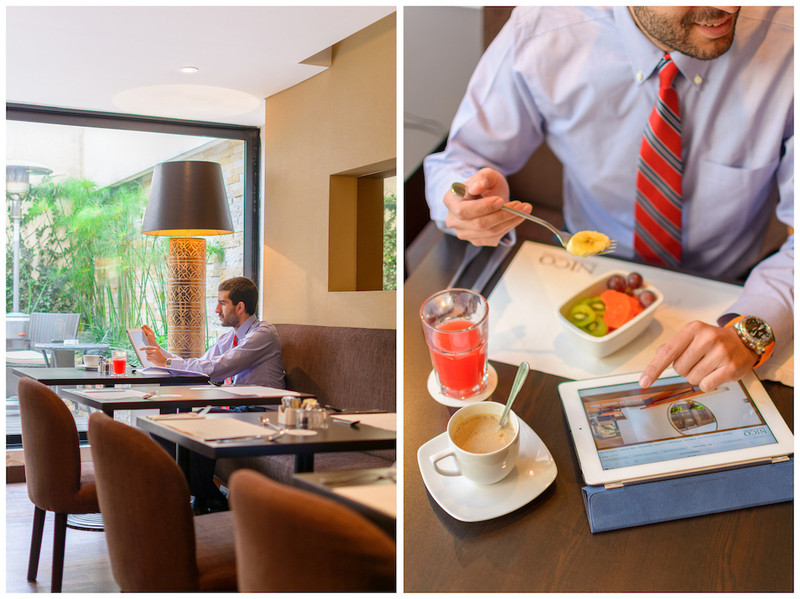 From the rooms, to the complementary breakfast to the personnel is just outstanding. Always willing to help the guests with literally all you need. Always with a smile in their face and graciousness!! Estimados Señores: Pasamos tres noches en su hotel de forma muy agradable. Buen trato por parte de su personal. Quizás, como recomendación, que puedan mejorar algo más la variedad del desayuno, aunque para nosotros fue suficiente todo lo ofrecido. Habitación bonita y práctica. Recomendaré este hotel siempre que pueda. Saludos. everything was excellent, the staff, the room, the breakfeast, the area....one small "problem": the shower. the pressure of hot water rasther weak. Everything excellent!! The people, very kind, the rooms very clean, the beakfast delicious. Really i come back again. Muy bonito. Buena atención. Buen desayuno. El personal muy atento y presto a ayudarnos. 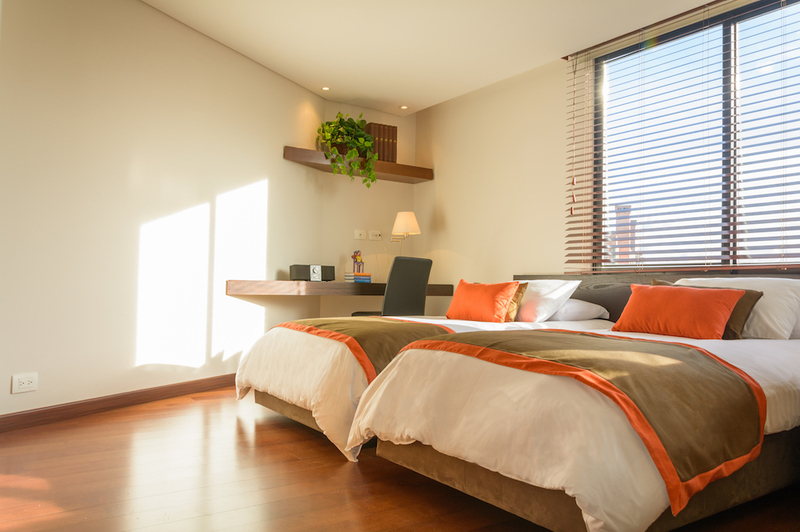 Very nice place, friendly personal, clean room. Just a bit disappointed because it was noisy. I asked for a quiet room (not on street side) and I didn't get it. Excelente ubicación. Habitación muy confortable. Excelente atención y valor acorde con el hotel. Desayuno incluido muy pobre y el horario muy incómodo para quien viene de paseo. Posición muy buena, apartamento muy cómodo, limpio y muy bien amueblado. Personal de Recepcion muy profesional y amable. Rico desayuno. Definitivamente lo recomiendo!! Trės bon accueil. Amėnagement moderne et recherchė. Service de qualité. Un hõtel å recommander dans un quartier sūr. Bons estaurants à proximitė. Muy cómodo y el personal muy amable. Ampliamente recomendable. El desayuno sencillo pero rico. I love staying at Hotel Nico. Great location, beautiful rooms, and very helpful staff. Excelente. Buena ubicación, personal muy amable. Habitaciones modernas y limpias. 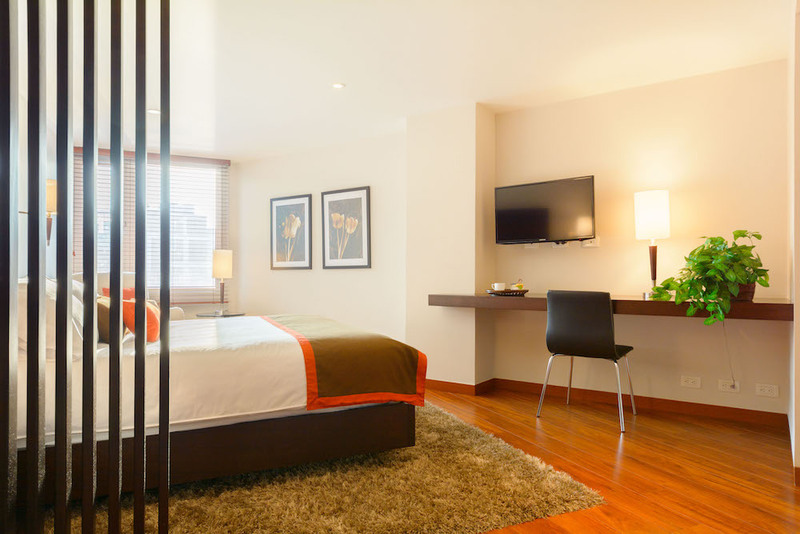 Nico Suites is our home away from home when visiting Bogotá. The service is wonderful and the rooms are very spacious and beautiful. 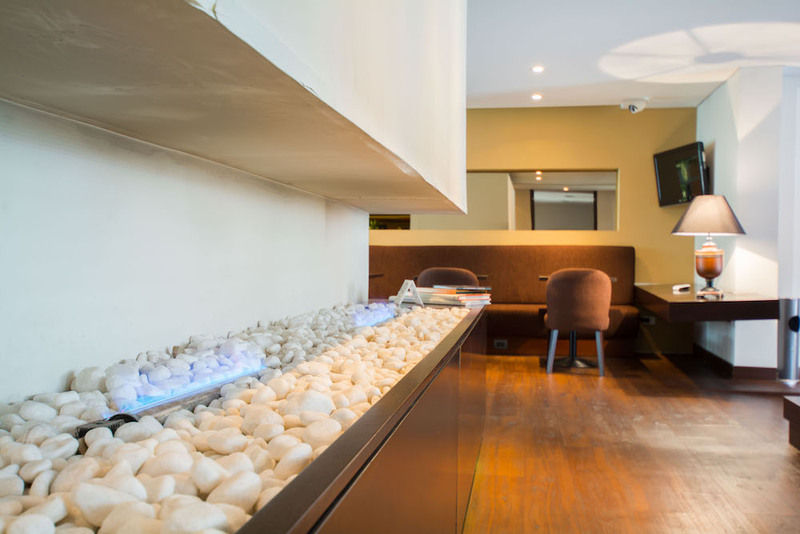 The location is also great, near a lot of fine dining and entertainment in the Zona G.
Friendly personnell in the reception as well as in the citchen. Breakfast was good and enough. On days with less people in the hotel less variety was prepared but one could order more. Modernly ferished big rooms, fast wifi, nice neighbourhood with many restaurants neerby. Taxi to historic center costs about 10.000 cop and can be reached within 15 min. Staying at Nico was a pleasure. The room in the back of the hotel was exceptionally quiet, by Bogota standards. It was good to work, sit and read in. It was very, very clean, and kept that way by friendly staff. All of the staff were welcoming and helpful. 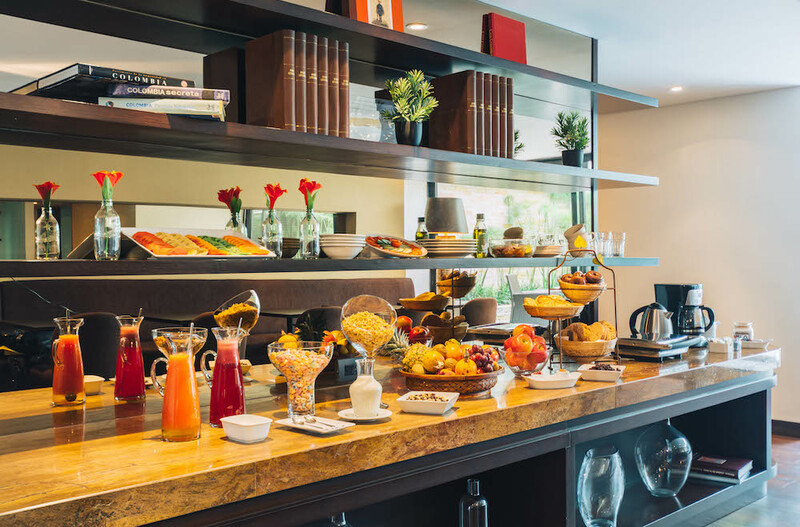 With a superb breakfast, that had new Colombian specialties every day. What a delight! Boa noite. O hotel fica perto da zona comercias, no norte da cidade. O sitio é muito bom. A aqua é muito quente. O pessoal foi agradável e muito legal. Local muito tranqüilo. Muito bom. Todo PERFECTO UNA vez maz. Por fafor quede aquí! Si usted necesitan un casa en Bogotá por u tiempo! Habitación muy cómoda, bien organizada y limpia. Se puede descansar y trabajar muy bien. Excelente. 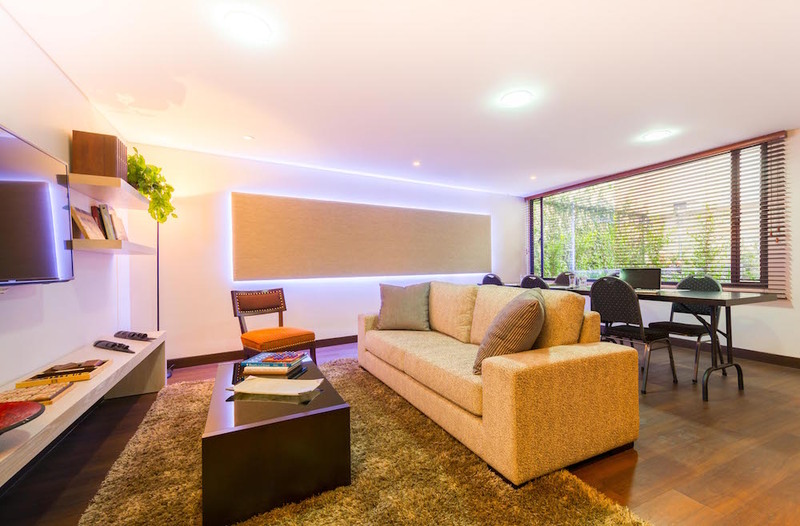 Excelente ubicación , habitaciones perfectamente decoradas , pero la mayor parte: primera clase amable, servicia y profesional equipo . Un gran servicio. Nos casi sentimos mejor que en casa de nosotros. Muchas gracias. Volveremos sin duda . Sin duda lo recomiendo ! We loved our stay, location is excellent and the accommodations were very fantastic. Only complaint was the two rooms we had in the front are very noisy with all the traffic and so it was very hard to sleep. Weather was warm so we wanted to keep the windows open but too noisy. Otherwise everything was excellent. Staff very friendly & helpful, hotel good value for money & in a great area. Rooms nice clean comfortable and quiet. Would stay again & recommend to friends. Very nice apartment in a great location. Many restaurants and bars within walking distance. We felt very safe and had a wonderful say in Bogata. Can highly recommend this accommodation! The room was very nice. The staff were all friendly and polite. The breakfast was often not perfectly organized. Certain items such as the breakfast cake or orange juice would run out. In this area the staff could have been more attentive. The front door is a minor inconvenience. One can not come and go but must wait for a staff person to open the door. 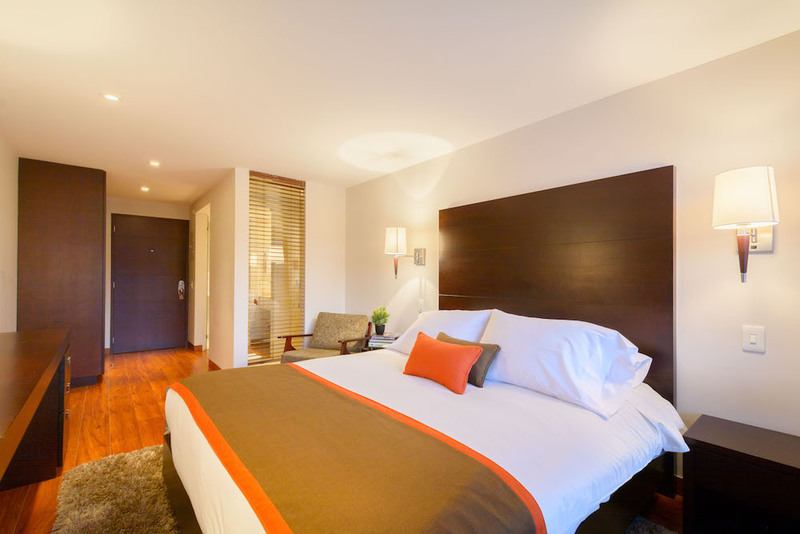 Overall, however, this is a very nice hotel in a great area of Bogota. 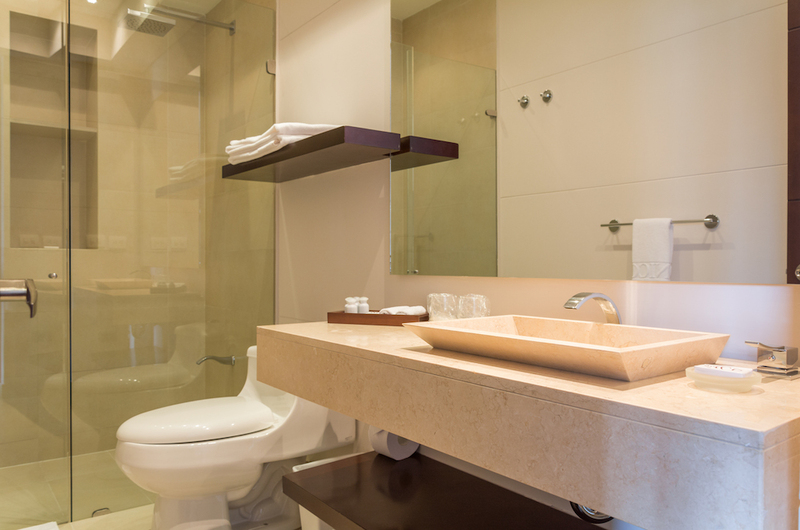 Nico Apartasuites is in an excellent location and the suites are well-suited to my needs as a business traveler. 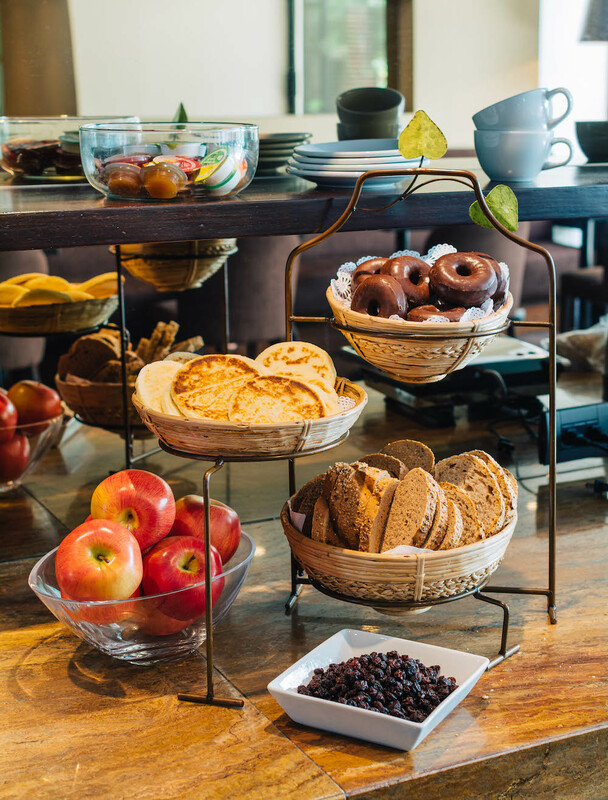 The front desk and breakfast personnel are very helpful. Excellent stay. Good facilities in a good part of town with most pleasant and heful staff. It's a great experience staying at Nico! I enjoyed every single aspect here. One thing, however, is that one day, our stuff were cleaned and put away by someone cleaning our room. We appreciated this but would prefer leaving our belongings untouched. Price-performance ratio very good. Friendly staff and owner. Central location. Internet service in the hotel very slow. I loved the hotel. The staff were very friendly and professional. The breakfast was delicious with a good variety. My room was nice and modern, and with amenities. The only bad thing was that the wifi was not very good in my room. I think I was too far away from the router. I'd suggest expanding the wifi capabilities. Las suites son cómodas y perfectas, y la ubicación es muy buena, cerca de muchos restaurantes. La atención del personal del hotel es extraordinaria, da gusto, son muy pro activos para ayudar en cualquier situación. Sin duda volveré. EXCELENTE SERVICIO!! MUCHA AMABILIDAD Y CORDIALIDAD DEL PERSONAL!! El Hotel Nico llenó por completo mis expectativas. Es muy bonito, decorado con mucho gusto, el deayuno es perfecto, la habitación bien dotada y acogedora.